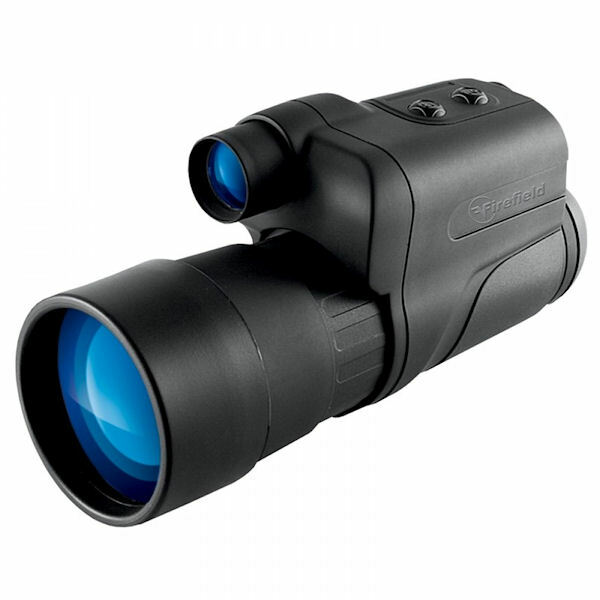 The Firefield Night Vision 5x50 Monocular from Sightmark features multi-coated optics, built in LCD screen imaging and the new PULSE IR system that allows you to zero in on your intended target even on dark nights. The digital 5x50 night vision monocular features a rugged rubber armored construction, and is also water- and fog-resistant, thus ensuring a smooth operation in a variety of conditions. Featuring a 5x magnification and 50mm objective lens diameter, the digital monocular offers you a close-up view of your target. Please call our sales department 877.674.2473 for details.